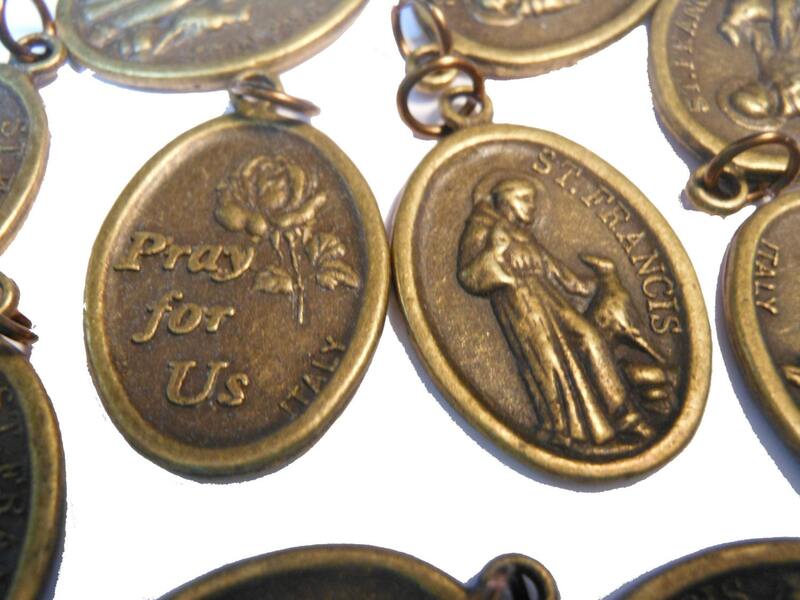 5 Saint Francis medals with pet Pray for Us in bronze with jump rings. A savings of $2.50 over buying 5 individually! There are 10 in photo but you will only get 5. One for your pet and 4 to give away! Put them in stockings at Christmas! 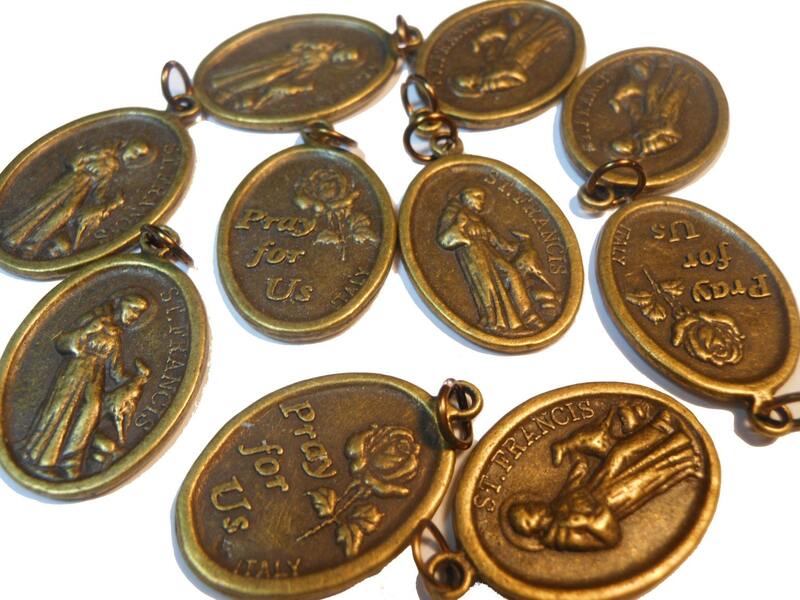 Give as rewards in CCD class. Wear it yourself or on put it on your pet's collar, leash, crate, carrier or harness for protection.